When I arrived in Minister Simon Coveney’s constituency office I am greeted by an amiable secretary, with whom I participate in small talk with in regards to the Minister’s no doubt packed schedule. “Oh, it doesn’t even phase him” she incredulously asserts. “He just takes it all in his stride.” Accordingly, Minister Coveney was the epitome of composure when I meet him. That this is someone whom the political spotlight has burned so bright on these past few weeks you’d never guess. Ostensibly to discuss the particulars of the Minister’s new brainchild, the National Planning Framework, this interview will inevitably progress to the subject of who will replace current Taoiseach Enda Kenny when he steps down as leader of Fine Gael. But not just yet. Indeed, I have no intention of glossing over the main topic, nor does Minister Coveney. From the outset, the emphatic way in which he speaks about his new proposal is testament to a project which is as democratic as it is ambitious. 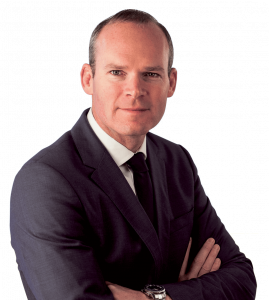 Since announcing the plan, which effectively aims to map out what Ireland will look like in 2040, Minister Coveney has embarked on something of a roadshow across the country, garnering views and opinions from students, planning experts and academics. The first consultation on the new framework will take place near St Patrick’s Day, after which Mr Coveney will present a draft plan he hopes will be approved by the government. A second consultation is scheduled for September, at which point the finer details of the framework will be clearer. 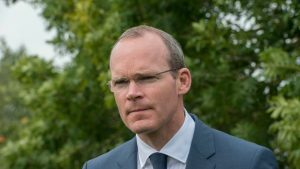 Coveney is hopeful that, with a proposal endorsed by the Dáil, decisions to be made by future governments in years to come will adhere to the aims of the proposal. The previous incarnation of the National Planning Framework, the National Spatial Strategy 2002-2020, established 23 cities and towns (“hubs”) marked for exponential growth. Astoundingly, fifteen years on from the plan, none of these 23 locations appear in the top 20 Irish towns with the most growth. So where will the new proposal succeed where its predecessor failed? One of the central aims of the plan, therefore, is to try and create jobs and houses closer to where people live, so that fewer will have to commute long distances, which in turn will cut time spent travelling away from family and reduce emissions caused by long distance car journeys. For Minister Coveney, though, ultimately it is the politics which present the biggest challenge to the plan. Giving in to localism will need to be avoided if the plan is to avoid meeting the same fate as its predecessor. “It’s a very Irish issue; politicians here are very close to their local community, which is a good thing. But the challenge here will be to do what is right for the country rather than spreading the resources thinly enough to ensure nobody gets one over on anybody else. We saw that when Charlie McCreevy [former Minister for Finance from 1997-2004] announced decentralisation, which was a purely political announcement trying to give towns goodies right before the election; it ended in disaster. With the Planning Framework, we’ve already seen consensus between counties in the northwest on the view that Sligo may become the town we focus on to create economies of scale in that region. Mayo see that this may be good for them, even though they could just as well be pushing somewhere in their own county, like Castlebar or Westport. They see the benefit in getting behind one area and how it can improve the prosperity of the entire northwest. 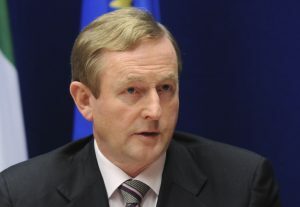 Recent controversy over the Maurice McCabe scandal has thrown Fine Gael leader Kenny into the spotlight, the Taoiseach saying he will conclusively deal with questions over his leadership after his Patricks’ Day visit to the United States, when he will meet with President Donald Trump. He has already spoke of his intention not to lead the party into the next general election. Nevertheless, there have been a small number of the party’s TDs calling for his resignation sooner than that. 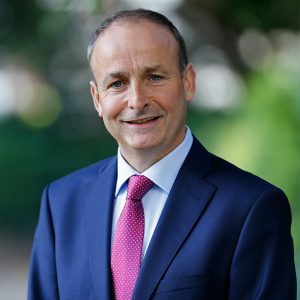 Fianna Fáil leader Micheál Martin, in an interview given to this magazine, called for those dissenting party members to themselves resign if they did not have faith in their leader. From an international politics perspective, the relationship between the US President and the office of Taoiseach arguably holds a symbolic importance for the 40 million people in the United States who consider themselves Irish in some way. For his part, Coveney believes that despite his tenure coming to an end, Kenny’s visit to Washington on March 17th holds as much significance as if there were no upcoming leadership change.